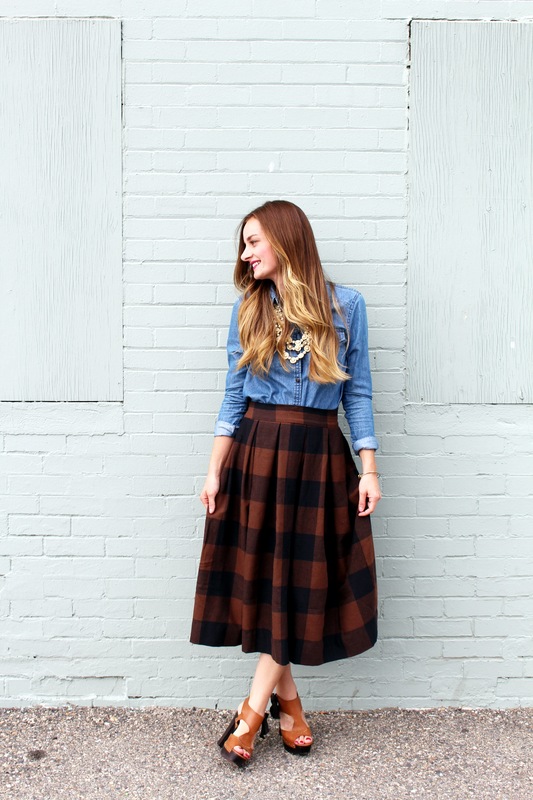 A few months ago I pinned this Anthropologie skirt, and I’ve been on the hunt for a great buffalo check fabric ever since in attempt to recreate it! 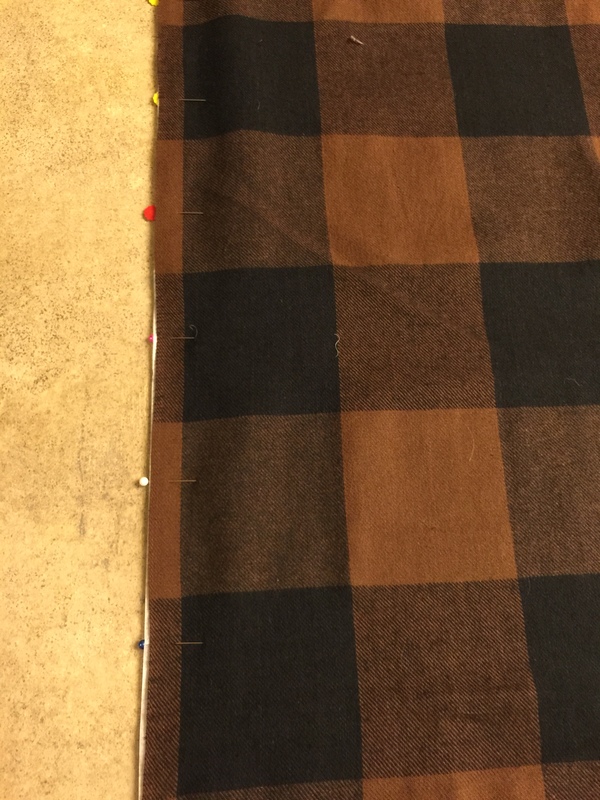 Last week I came across a great brown + black buffalo check cotton fabric at Hancock fabrics that was just perfect for this project. I decided to make my skirt with pleats instead of gathers because I really like the constructed look pleats add to a garment. 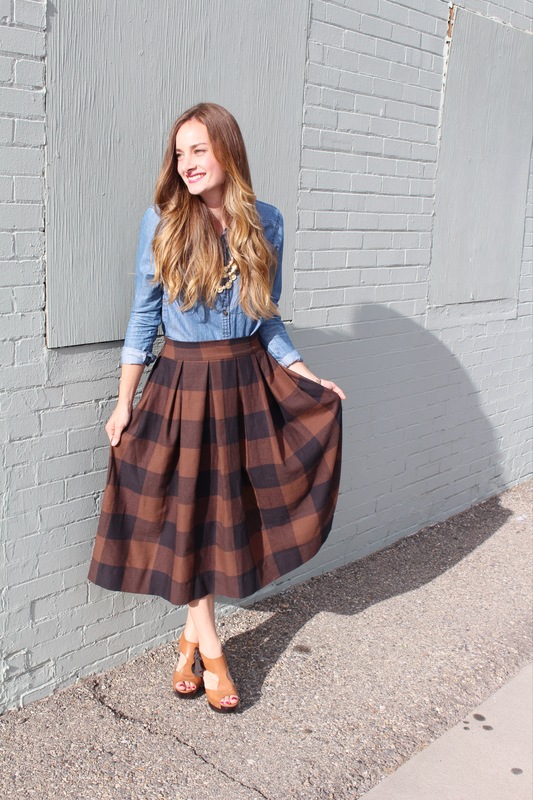 I chose to go for a midi length skirt (a big thing for Fall this year), just like the Anthro skirt. 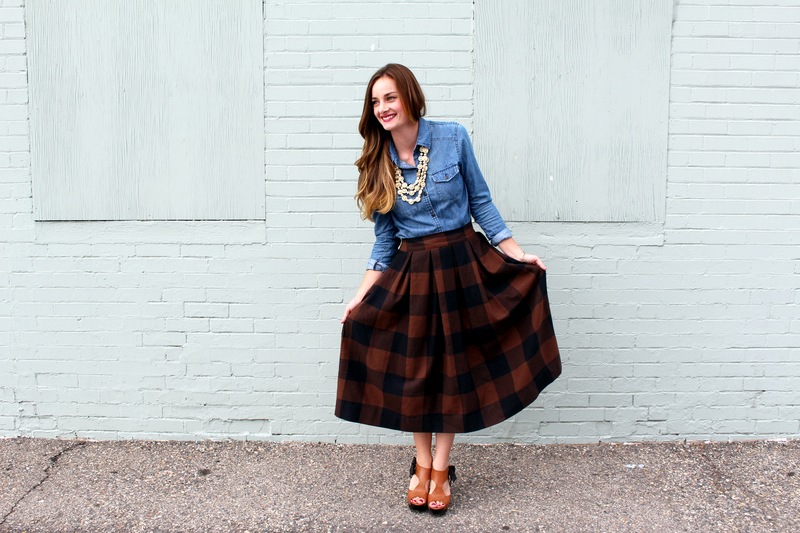 You guys, this skirt is SOOO easy! 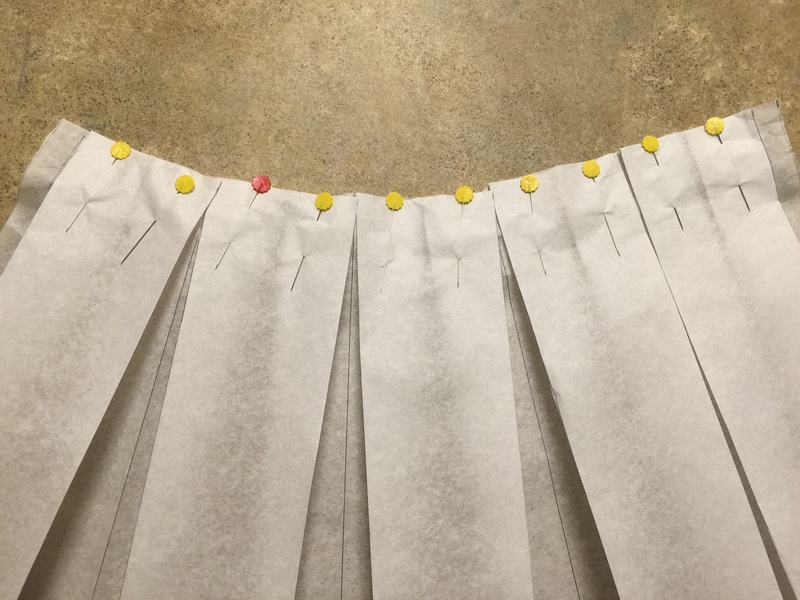 I discovered a new method for pleating with just pins (no chalk, pens, etc. 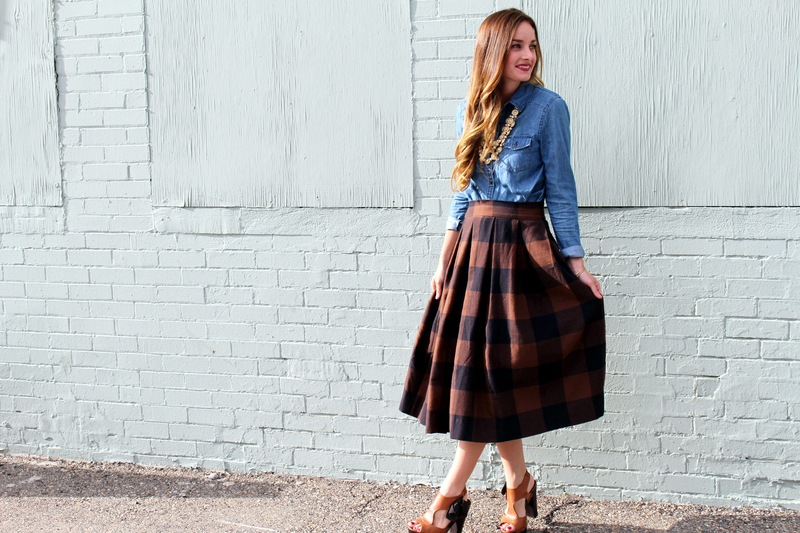 ), and it’s so fast- I whipped this skirt up in one night. Let’s get started! I added 1/4 yd. more for my waistband so all together I needed 2 1/2 yards. (I ended up with 3 yards, I always play it safe a grab a little extra). (I’m apologizing for my tutorial photos in advance, unfortunately I am only able to sew at night which makes for bad lighting). -Measure out a piece of pattern paper that measures HALF of your needed width. This will give you a front and back piece, so you will cut 2 of these out of your fabric. (You can buy this pattern paper at the Doctors office, its the same paper they lay on the exam table!). So my needed width was 89.5″ then divided by 2 came out to 44.75″. 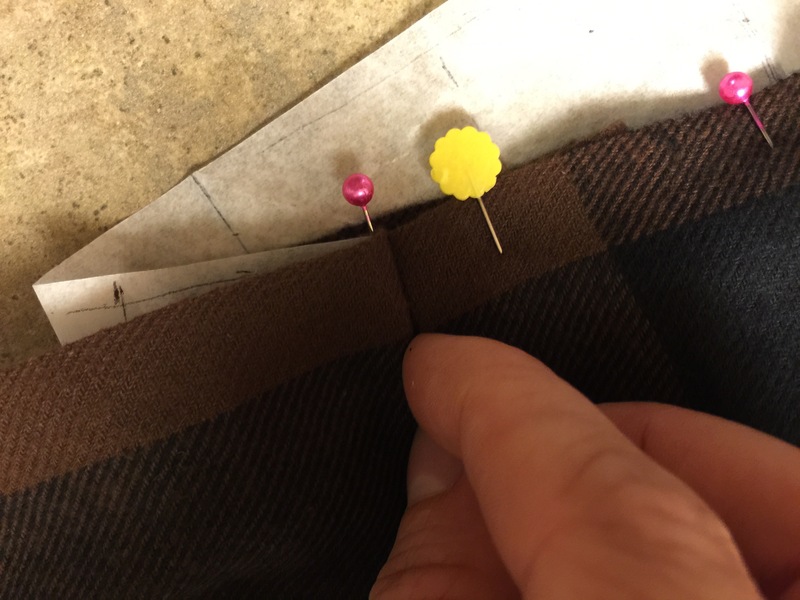 After you measure out your width, draw out your pleats. 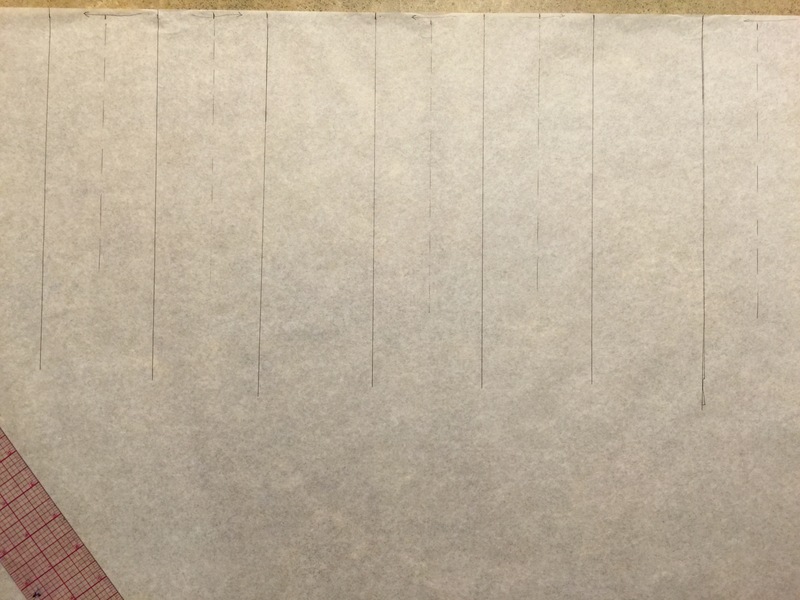 On each end of the paper, mark your 1/2″ seam allowance. 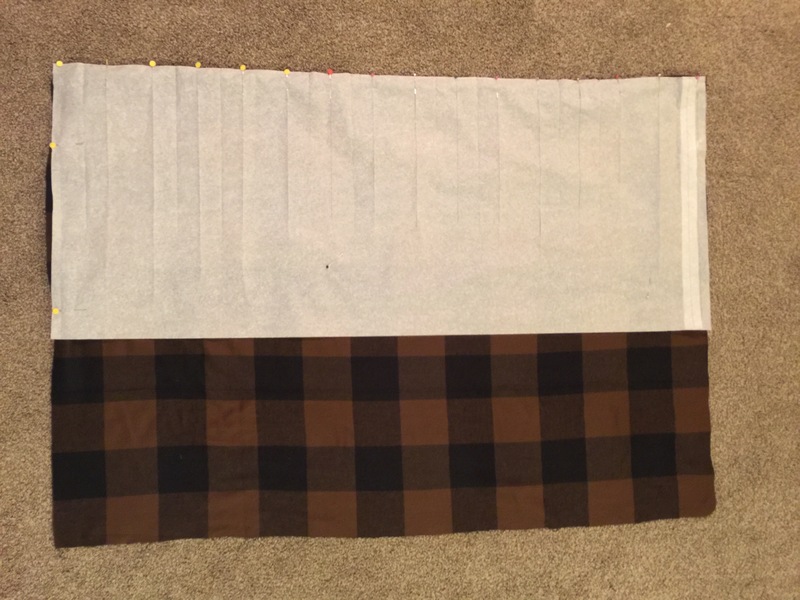 For each pleat you will need your pleat length to the right and left of it. I drew dotted lines to represent the fold lines. You fold every line to the left of the pleat to the right, and every line to the right of the pleat to the left. Now for the fun part! 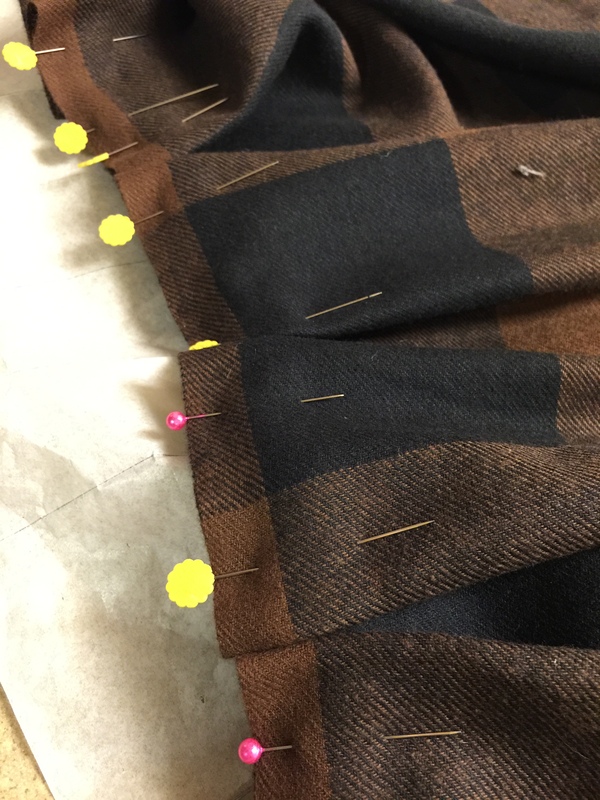 Before you start pleating, don’t forget the added 1/2″ on each end for your seam allowance. 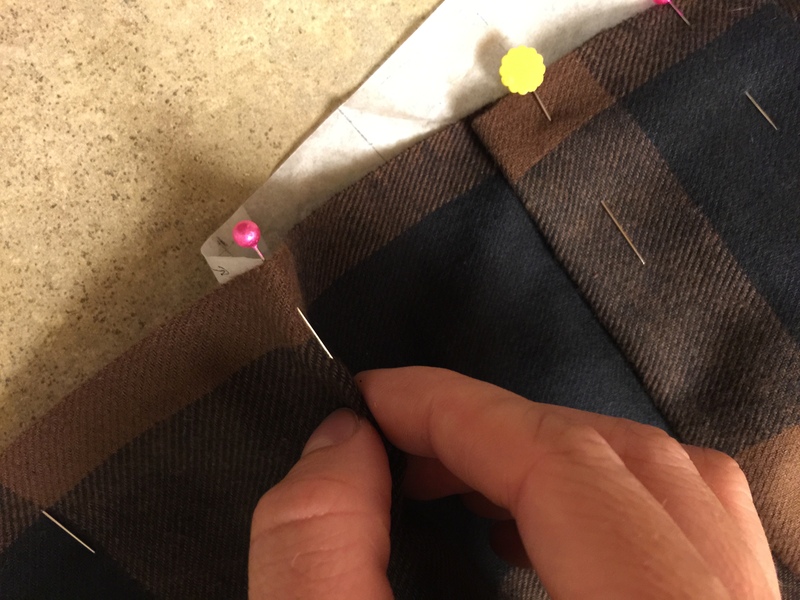 Simply match each pin to pin, remembering that the left side of the pleat face folds to the right, and the right side of the pleat face folds to the left. 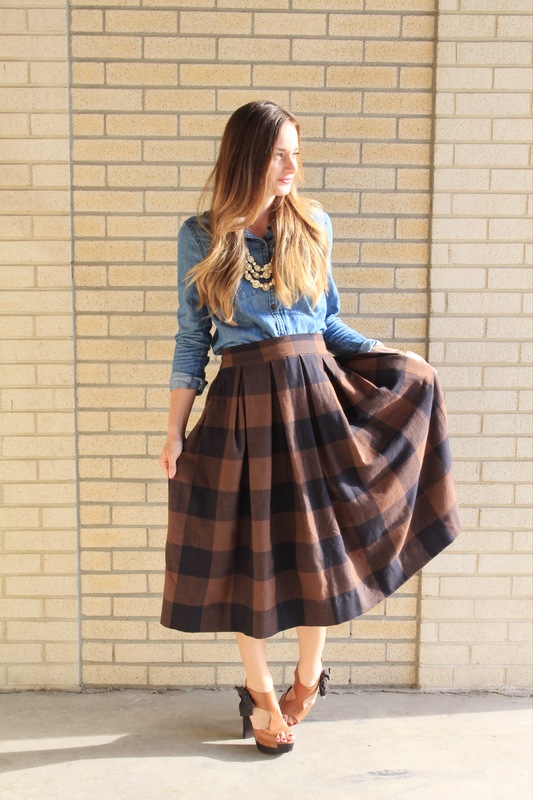 As you match your pins, make sure to repin pleats in place. 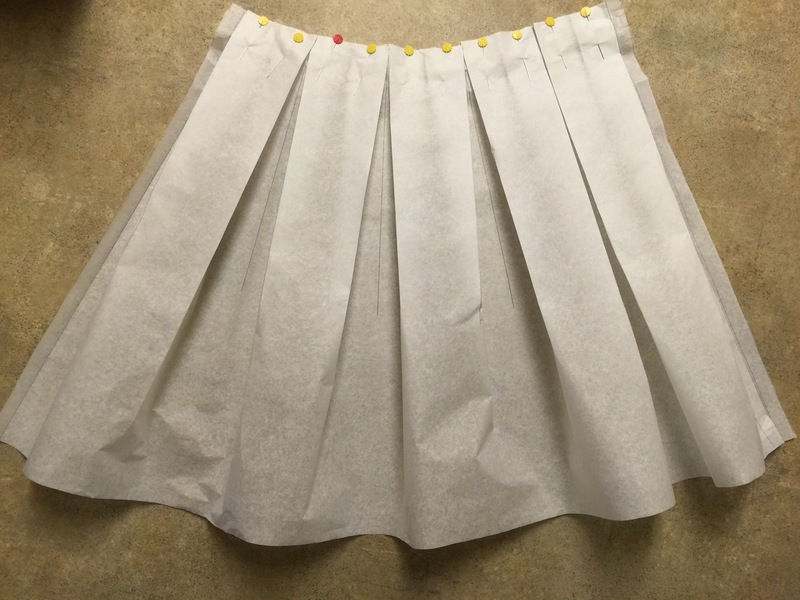 As you do each pleat, gently slide your pattern paper out of place -eventually it will be completely unpinned from your fabric once you have pleated the entire piece of fabric. 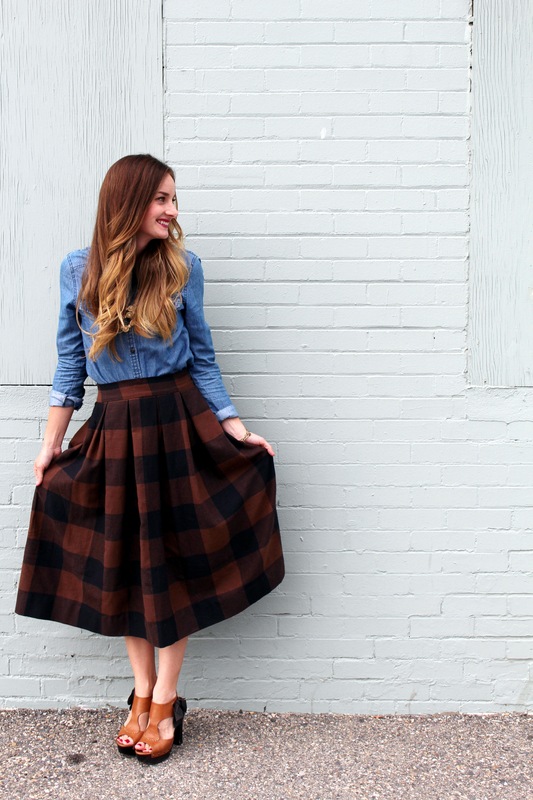 (NOT PICTURED: Baste 1/2″ on each waistline edge on both your pleated front and back skirt pieces). 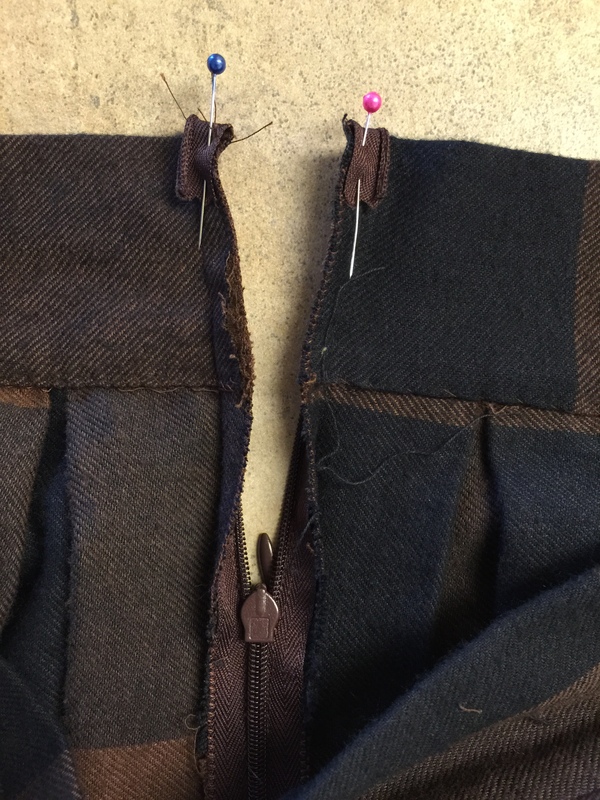 (NOT PICTURED: Sew side seams together at 1/2″, decide which side you would like your zipper to be on and make sure to stop about 5-6″ from the top to leave room for where your zipper will go, back stitch. 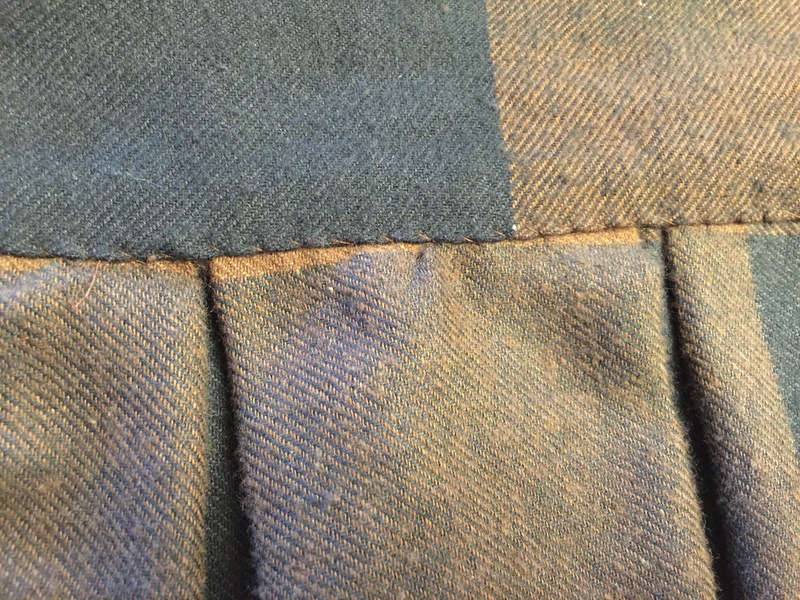 Iron and finish your seam allowances (I just used a zig zag stitch). 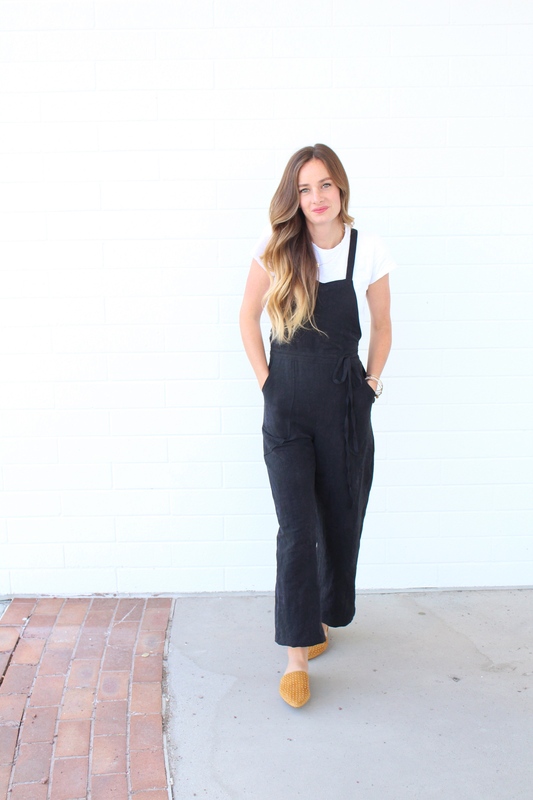 Now you need to create your waistband: I didn’t create a pattern for this piece, its just a rectangle so it’s super easy to cut out just by measuring. 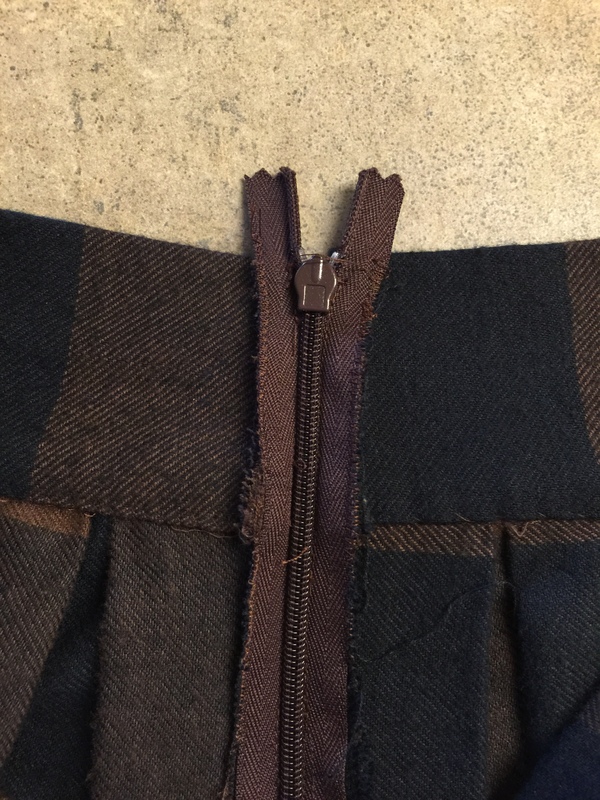 To figure out how your waistband should measure start by taking your waist measurement (this will be your width), and decide how thick you would like your waist band to be, multiply it by 2 and add 1″ for seam allowance. 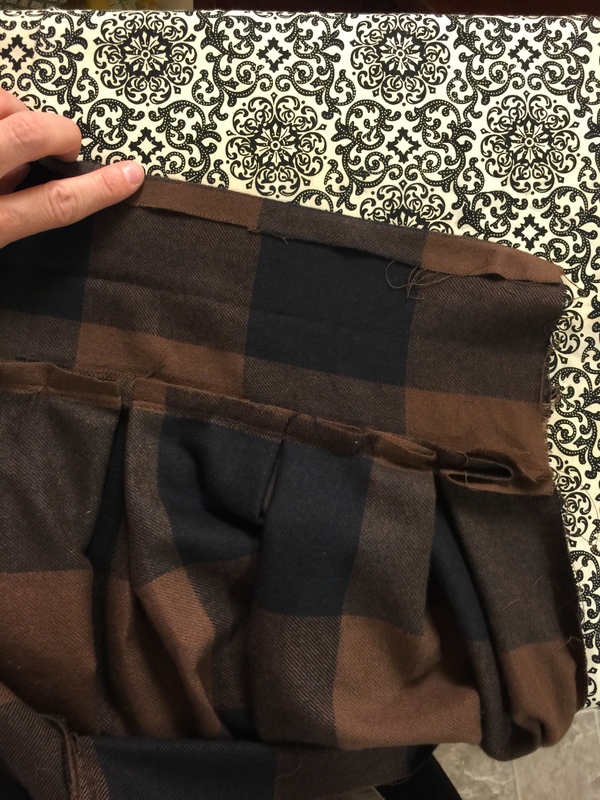 So all together my waistband length measured 5 1/2″ in length. Cut your rectangle. (Mine was 29″ X 5 1/2″). Iron in half, WST. 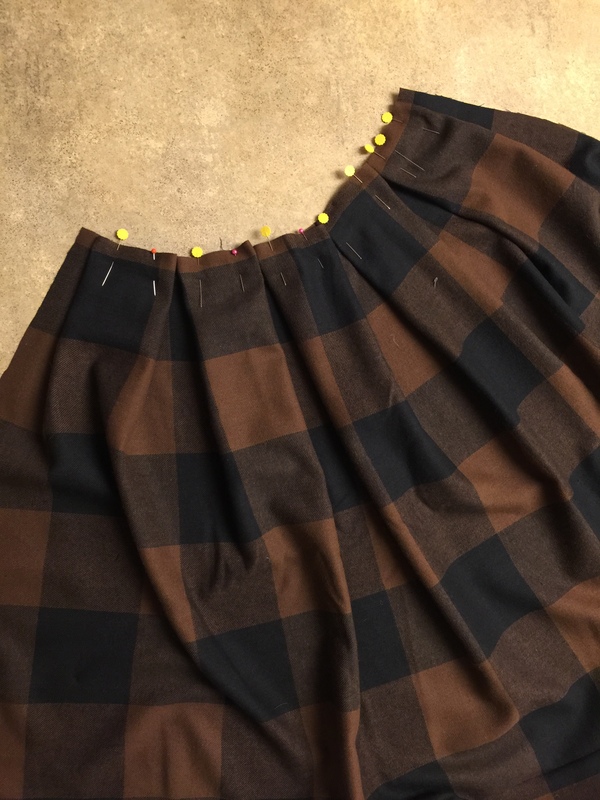 Once your waistband is cut out, pin ONE edge RST to your skirt waistline, leaving a loose edge. Make sure to line up and pin centers and edges first. Sew at 1/2″. 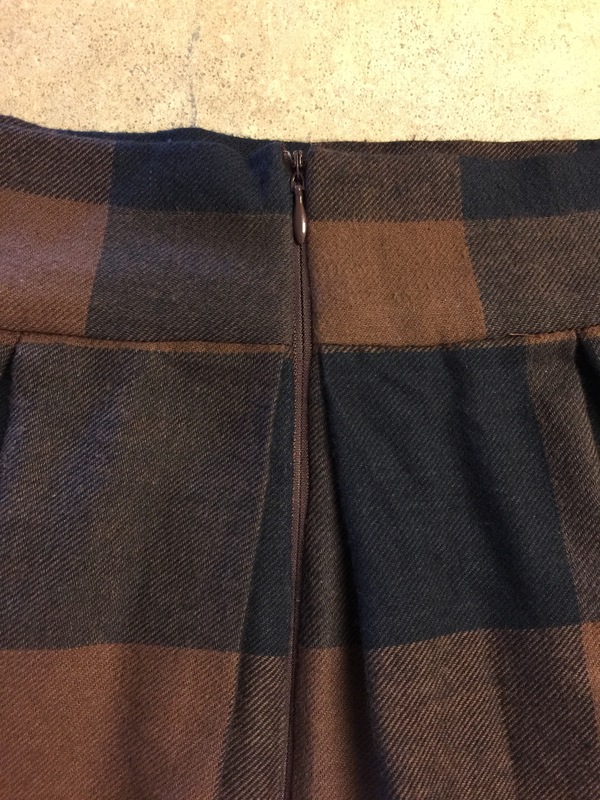 Flip the waistband over to the inside of your skirt, and pin in place. It should just barely cover the unfinished seam allowance. Now, grab a needle and matching thread. Whip stitch along the edge of your waist band end to end. (You can also stitch in the ditch). I always prefer to hand stitch. Once you are finished, iron waistband. 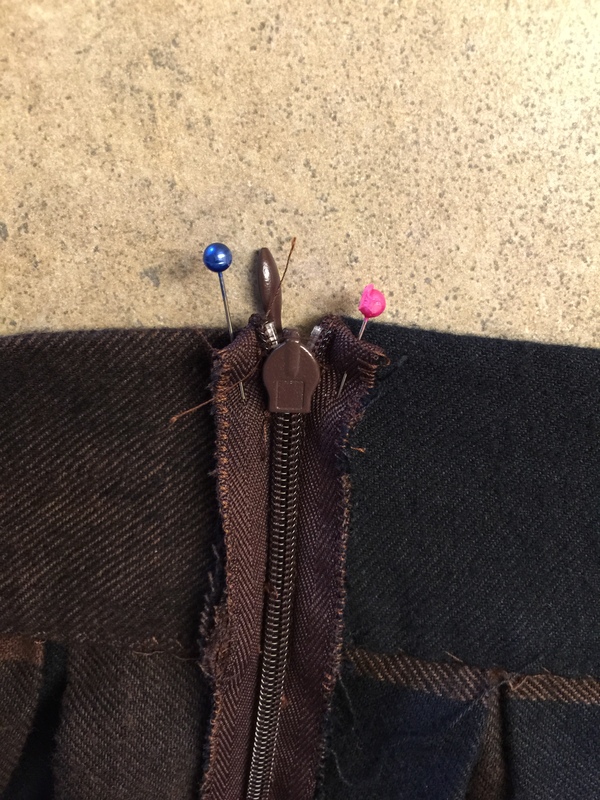 Finish off your zipper edge by pinning your loose zipper tape sticking over the top of your skirt to the back of the seam allowance. 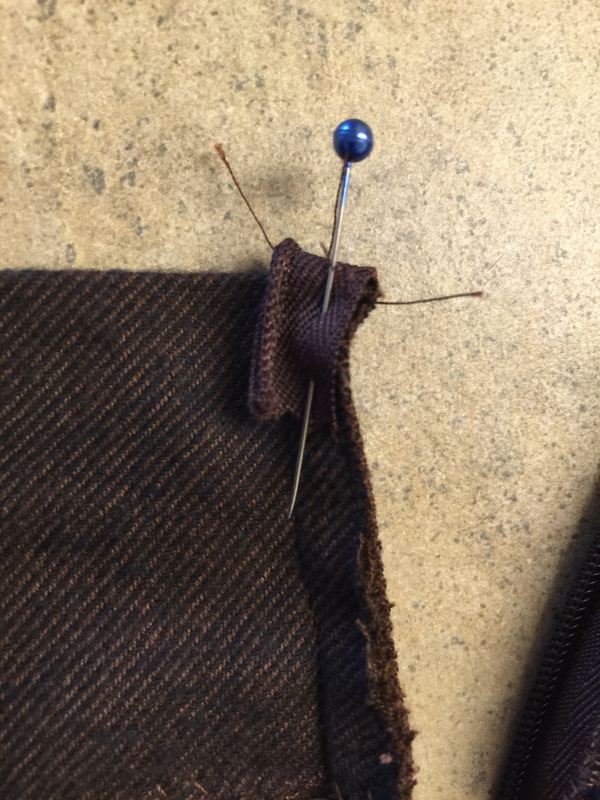 Fold your seam allowance back over, and hand tack along the edges of your zipper edge. And lastly, finish by hemming your skirt. 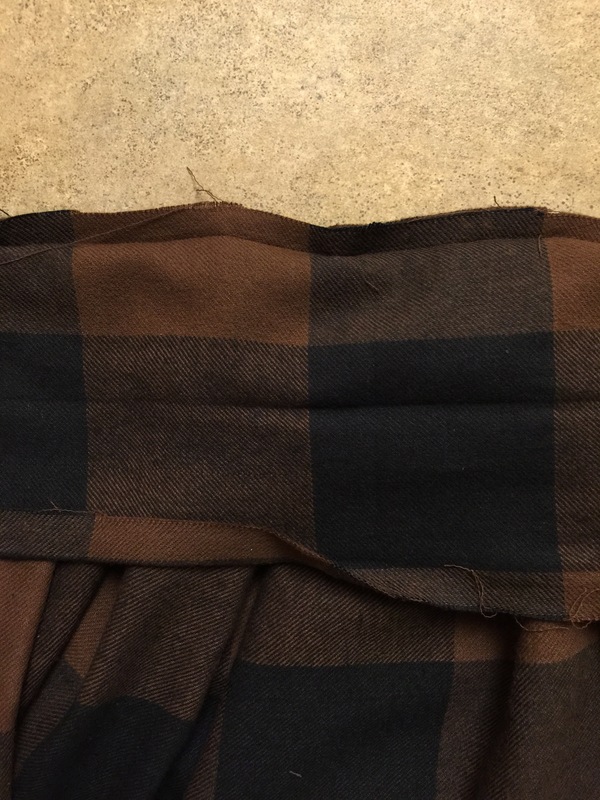 I folded and ironed the bottom edge at 1/2″, and then folded and ironed again at 1 1/2″. 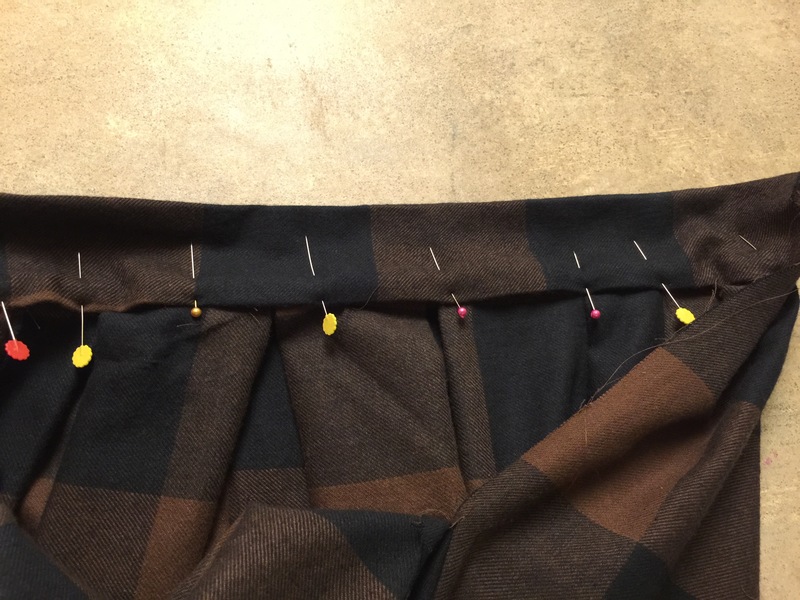 Pin in place, and hand tack your hemline in place using a blind hem stitch. You can also do this on your machine, I just really enjoy doing it by hand. Thats all there is to it! Sara you are the cutest, most talented thing!!!! I love watching you do all this!!! Hi! I used your pattern and at the end of it the skirt was able to fit two of me in it. The fabric I used was not high quality so little strings constantly unravel from the skirt because I didn’t know to hem (this was my first sewing project). Otherwise I love the skirt and will continue to use this pattern for other skirts using my own modifications. Thank you!! 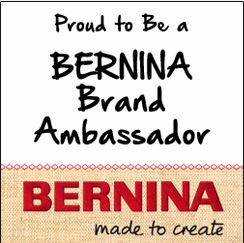 Would love to know what amazing things you’d make if you could sew all day too! Thanks, brilliant tutorial! This is fabulous, thanks for sharing! PInning now. 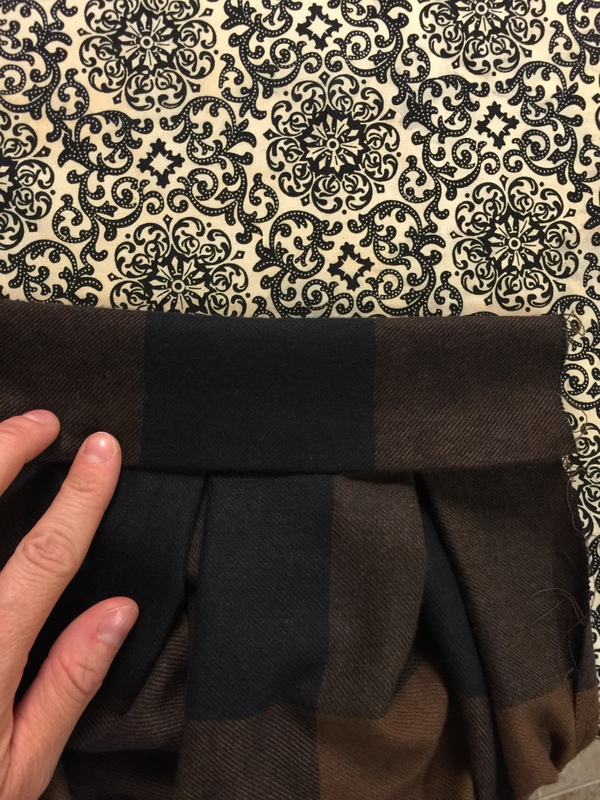 I’m a little confused about how wide to make the pleats. They are 2.85 inches wide? That gets tough (for me) to calculate on either side of the dotted line. Suggestions? Let me take a look, I’ll respond to your email in a bit! Close-up of my #perkinsshirt for @indie_sew’s #shirtmonth! I love this pattern so so much. Can’t wait to make another! Pattern from @ensemble.patterns and fabric from @workroomsocial.